As part of the Pittwater to Dunk cruise in 2019 there are a series of seminars being organised. These are open to all members of Alfreds Cruising not just those who are planning to take part in the cruise. A new 'Cruise Coordinator' flag. On every Club cruise you will be able to identify the Cruise Coordinator (Leader) boat as it will be flying the "L" flag. Whether in a bay, 'down the creek' or on the open sea the "L"flag will be prominent. When attending all Club cruises please have your radio on and tuned to Ch16/77 so that you hear of any changes to cruise plans. The Cruise Coordinator will use Ch77 'calling all Alfreds Yachts' . If you have any doubts about a cruise going ahead please check with the Cruise Coordinator or with Reception. Members are reminded to fly their Club burgee at all Club on water cruising events. 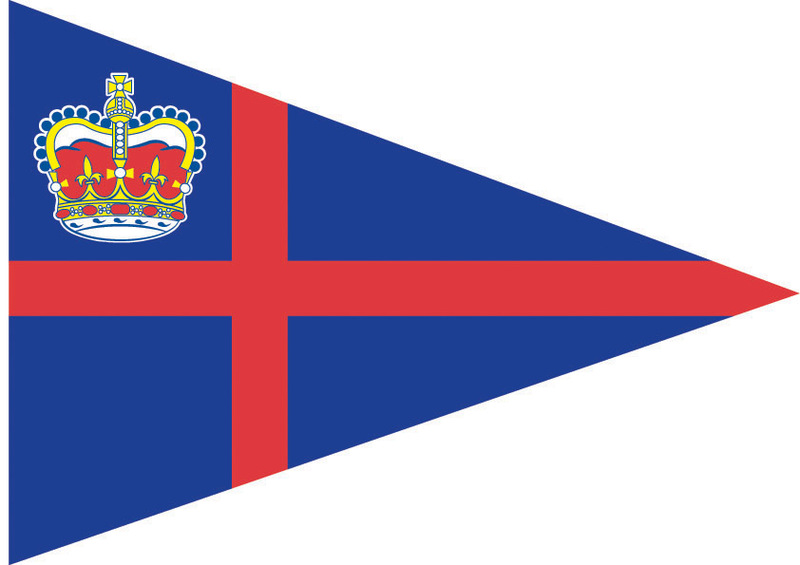 A burgee is available for purchase at Reception. You can log on/off using the app once you are registered. A great step forward for all cruising sailors. Read all about it HERE. Did you know that several new weather stations have been put in place around Pittwater and information is available to all boaties to know the local conditions. Read about it HERE. There have been some queries about the disposal of old flares. This link to RMS is helpful. Coastal and local waters forecasts routinely provide mariners with information about winds, seas, swell and, only when significant, a phrase describing the expected weather, i.e. thunderstorms, fog or heavy rain. The BOM are making marine forecasts more useful for people planning to spend the day on the water by routinely adding more information about the expected weather. Instead of just including significant weather information, such as thunderstorms or fog, they will include whether it will be sunny, cloudy or rainy. A Matter of Importance - Participants are reminded that fending off with hands, arms, feet or legs is no substitute for a fender - and can be very dangerous. Fending off from any immovable object, such as wharves and piles, has similar potential for injury. Caution should also be taken when using the anchor winch as accidents with fingers can also happen with the chain. What is an RPAYC Estuary Cruise? a 'pot luck' dinner (when you take 'pot luck' with your dinner companions and the food that everyone puts in the middle of the table - this is usually arranged 'out of hat' or organised in some random way! a morning tea gathering - again BYO unless advised otherwise! or anything else that anyone wants to organise! Some locations have lots of moorings - eg Refuge or America Bay -and others have just a few moorings - such as Smiths Creek. You should be prepared to anchor having due respect to those already anchored or moored. Boats head home in their own time on Sunday - often after sharing casually arranged morning tea with others. Some may stay on for an extra evening if they are lucky! Seminars All documents from past seminars are on the Club website and are very well worth downloading HERE - they are extensive and make great reference material - you need to login. RPAYC Cruising Strategic Plan Cruise Committee has agreed a Strategic Plan to focus on objectives to develop cruising activity within the Club. You can dowload this document HERE. Persons in canoes/kayaks must wear a lifejacket when greater than 100 metres from an accessible shore in sheltered waters, and at all times in ocean waters. NSW Maritime defines safety equipment requirements in terms of Enclosed and Open waters, with additional requirements if you are more than two miles offshore. For Pittwater, the Enclosed Waters limit is a bit of a moving target. It is always south of a line between Barrenjoey and West Head but may extend to Middle Head when waves are less than half a meter trough to crest. The implication of these limits is that on a typical summer’s day when the nor’easter kicks in during the afternoon a trip back from Halletts Beach to the Club will include passage through Open Waters and your vessel will need to carry the appropriate equipment for this classification - this is a NSW Maritime requirement.